The proposal to create separate authorities to run Jacksonville's airports and seaports seemed crazy to some during the 1990s. They said it would double costs by requiring dual administrative efforts. But 10 years to the month since the Jacksonville Aviation Authority was created, many say it would be insane to think of doing it any other way. "The seaport business and the airport business are two very different businesses," authority CEO Steve Grossman said. "It would be crazy" to combine them. 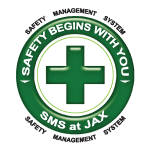 Sane or otherwise, the anniversary of JAA's creation will be celebrated during the authority's monthly board meeting today at Jacksonville International Airport. It will be followed by a news conference attended by past and present authority leaders. They'll doubtless tout the authority's continuous growth since the Legislature and then-Gov. 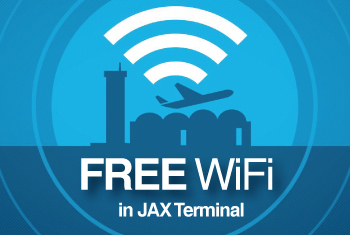 Jeb Bush authorized breaking Duval County's four airports away from the Jacksonville Port Authority. The change went into effect Oct. 1, 2001 - and immediately the new board found itself feverishly busy dealing not with passenger counts and terminal expansions but with the hysteria caused by the Sept. 11 terror attacks. "Security was the number one issue, and we had several unscheduled meetings" to deal with new rules coming down from the federal government, said Ron Townsend, then vice chairman of the new JAA board. He went on to become its second chairman after his predecessor, former Mayor Ed Austin, left the position. Being on its own enabled the authority to more nimbly respond to the aviation regulatory changes coming down from Washington, Townsend said. As a result, "we were one of the first airports to get baggage screening equipment," he said. The authority had plenty of challenges before its creation. The idea had been floated as far back as the Tommy Hazouri and Austin administrations of the early and mid-1990s, but it wasn't until Mayor John Delaney appointed a blue ribbon committee to examine the notion that it picked up steam. Townsend was on the committee and recalls that opponents were mostly worried about the extra costs associated with creating a separate airport authority. By the end of the process, the committee and City Council came to see that having a combined port and aviation organization "was mixing apples and oranges." Opponents, who were never vehement, began to dwindle. "Our [committee] meetings weren't jam packed with people standing in the back yelling," he said. One elected official who strongly supported the idea was former council President Eric Smith, who said he's had second thoughts about his support of the separation. He became disenchanted when problems with employees and unions arose, with many workers being terminated, Smith said. And he feels the airport still isn't doing enough to make itself a fully international airport. Executive salaries have also gotten out of hand, a trend that began prior to Grossman's tenure. That is in part a result of the authority's penchant for taking action without concern for public perceptions, Smith said. In September, the board voted to raise Grossman's salary from $245,000 to $280,000. "They need to be independent authorities, not kingdoms or fiefdoms, which I think may still be the case," Smith said. Current JAA Chairman Chester Aikens said he understands those comments and hears them himself now and then. But he noted that the authority does not get its funding from the city; it relies on the Federal Aviation Administration and airline user fees, parking fees and rents from vendors. And the proof of its value is in the growth, Aikens said. In the past decade, it has renovated and enlarged the concourses at JIA from 299,000 square feet to 342,000 and added new retailers and other vendors. now, and that doesn't count sub-leases, according to JAA records. Revenues have grown apace. The authority estimates $75.7 million in total revenue this year compared to $49.7 million in 2002. "I've heard the critics, but we've grown tremendously," Aikens said. Delaney, now the president of the University of North Florida, said both the airport and seaports have enjoyed the growth they have because they went their separate ways. But Delaney said few even remember the debate. In fact, it's not something he even thinks about unless he's getting on or off a plane at JIA. Aviation agencies and companies also don't seem to care about the debate. Spokespersons for the Federal Aviation Administration and Air Transport Association said their only concern is that airports adhere to federal regulations and good business practices. Delaney noted there are plenty of airports around the country that are still parts of combined authorities. "The split is in that category of government running more efficiently," he said. But "it wouldn't have been the end of the world for the city if it hadn't happened."